If you own land on a lake, creek, river or other body of water, you may know that using native plants in the landscape can benefit the environment. But it can benefit you, too. You can learn more on how to care for your waterfront property at a series of workshops scheduled by Buffalo Niagara Riverkeeper. The workshops will provide technical assistance on the topic of waterfront or riparian habitat restoration using native plant species. The first workshop will be held at 7 p.m. tomorrow, Wednesday, Feb. 29, in the Buffalo Niagara Riverkeeper Office, 1250 Niagara Street, Buffalo, NY 14213. 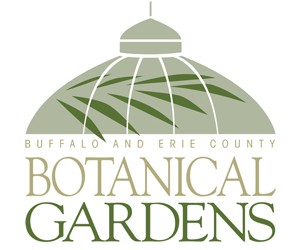 Those who attend will receive a couple of guides: Caring for Your Waterfront Property as well as Native and Naturalized Plant Guide for Buffalo Niagara. They’ll also receive a packet of seeds for 12 native wildflowers that attract pollinators. Smart planting can reduce your risk of flooding, Brooks said. The plants can slow down and absorb rainwater. You may be able to increase your property values. According to the U.S. Forest Service, planting trees can increase the value of your property by 10 percent. You can decrease your cooling costs. 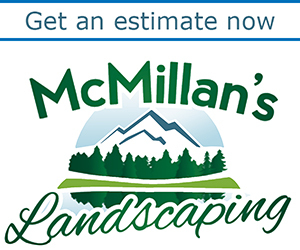 Planting trees and large shrubs can cool the air around your home and reduce your cooling costs. 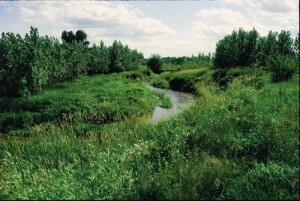 Riparian buffer zones with native plants are easier to maintain than a lawn. If you install native plants rather than a lawn, you don’t have that large area that you have to mow, nor will you have to use fertilizers or pesticides. After the first season, native plants shouldn’t even need to be watered. You can have an attractive landscape. If you choose your native plants well, you can have flowers from April to October, and the plants can attract butterflies and song birds. State and federal incentives are available. The material covered will be the same in each workshop, so you need to attend only one. For more information, please contact Matt Candeias at mcandeias@bnriverkeeper.org or 852-7483, ext. 31. Photos provided by Buffalo Niagara Riverkeeper. This article makes me wish I lived on a waterfront-somewhere. Would love to see the native wildflower varieties mentioned. Nice that they have so many workshops available. Donna, there is definitely going to be a lot to do. Good point, Matt. Native plants can have a place in anyone’s yard. 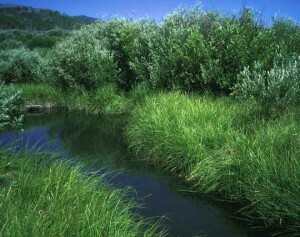 But I know what Maxine is talking about– Those photos made me wish I had a creek in my backyard, too.